The Civil War contributed to a long period of decline for the College of William & Mary with the President of the College suspending operations in May of 1861. The College reopened in 1865, however the sole professor of law, Charles Morris, extended his leave of absence. Ultimately, this position was not filled due to the College’s ongoing financial troubles and low enrollment. Over the next sixty years the occasional law course was offered, and three law degrees were granted, but there was no formal law program at the College. 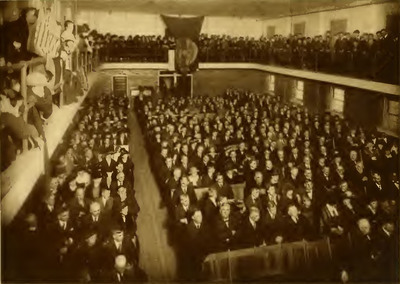 While law courses had been taught for several years, the law school's revival did not truly begin until 1922 with the opening of the Marshall-Wythe School of Government and Citizenship. The School of Jurisprudence was added to this program and began granting law degrees in 1923. John Garland Pollard was the first Dean of the School of Jurisprudence.